Well, Lee Grane Maranan of Batangas City got out of jail in that one-on-one sing-off with fellow Team Bamboo artist Dan Billano last night, the start of the second phase of competitions in the Voice of the Philippines. The stage is called ‘the Battles’ and requires each coach, as hostess Toni Gonzaga explained, to pair two acts from his or her own team to perform in a sing-off. The coach then decides who moves onto the next level. Billano was Bamboo’s thirteenth pick from the blind auditions. Bamboo said during the penultimate audition show that he considers the number 13 lucky. Apparently not so for Billano, who will have reason to feel hard done by after Bamboo chose Lee Grane to move onto the next round. Personally, I was not too impressed with Billano’s blind audition. He was comfortable with the high notes but also rough around the edges with the low ones. Lee Grane was always the better singer by a mile. 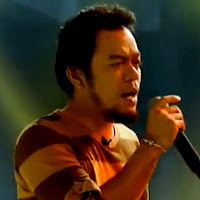 At any rate, he probably knows that Lee Grane is the ace up his sleeve among the members of his team; and the basis of his choice was probably to win the competition as coach rather than on the night’s performance. However, on the night – and arguably because of the song choice – I rather thought that Lee Grane could consider herself lucky that she is still in the competition. I thought Billano won the sing-off! Lee Grane was always wary about the choice of U2’s ‘One’ as her sing-off song with Billano, citing the song as ‘pang-lalake.’ That was probably off the mark since the song ‘Anak’ which got her through from the auditions was also originally sung by a male singer. She was also wary about not being familiar with the song and subsequently being unable to feel it. I can understand this line of reasoning, particularly for a soulful singer like Lee Grane who has to feel her songs. We all saw this during her audition. But any U2 song is always going to favour somebody with a higher range, which Billano has. Lee Grane will probably always do better with the mid-range songs. If I am being honest, I think Bamboo messed that one up. With the song choice as well as with who moves onto the next round. Bamboo had a point in wanting Lee Grane to get out of her comfort zone with his choice of songs. It is, however, a competition; and it is arguable if Lee Grane could have sung the song any better than she did last night. Even Lee Grane knew she got out of jail with this one and apologised to Bamboo after Billano was sent packing. “I wanna promise you that I can do better with the next one,” she tearfully told her coach. I have no problems with Lee Grane progressing because I think she is the better singer, anyway. However, it does taint the concept of the Battles if the night’s better singer is not sent through. Although Lea Salonga was ecstatic with the way Mitoy Yonting and Chien Berbana performed, I don’t think the duo was the night’s most difficult to call. 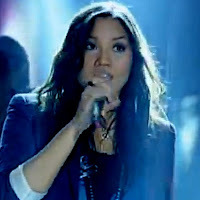 Salonga told the nationwide audience that her plea to all her singers was to make it hard for her to make her choices. I didn’t think it was a hard choice to make at all. While I have issues with Yonting’s diction – which makes him sound like a casino lounge singer; and he is, of course – I thought he slew the dragon from the first testicle-busting note. His testicle, anyway. Berbana was just never in it. The battle, I mean; not Yonting’s testicle. I thought the most difficult to call was that of Team Sarah’s Morisette Amon and Lecelle Trinidad. The two ladies were not only pleasant to look at; they were also quite, quite brilliant. They sang ‘No More Tears’ not as though they were competing against each other but almost as a well-rehearsed duet. It was quite the total performance; and the winner was really the audience. I chose a winner in each of the other three battles but could not make my mind up about this one. Sarah G opted to move Amon into the next round; but either one of the two ladies would have been a deserving winner of this battle. What was unfortunate was that one had to go home. Perhaps, it was not such a brilliant idea on the part of Sarah G to pair the two together. At the very least, and in contrast to the way Bamboo did things, at least the song was right for both singers. As for the battle between Guji and Grace Lorenzana against fresh-faced young Tristhan Perfecto, there was always going to be one winner. I don’t think there was a lot wrong with the Lorenzana siblings when they sang individually. It was when they blended their voices in a duet that the pitch went all over the place. Sometimes, it was not pleasant at all. Although young Tristhan was quite charming with Stevie Wonder’s ‘Signed, Sealed, Delivered,’ it was not so much that he won and more that the Lorenzanas handed it to him on a silver platter. Acknowledgment: Photos taken from video on http://www.iwantv.com.ph/.